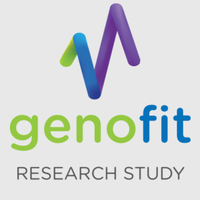 The purpose of the Genofit study is to examine the relationship between health and genetics. The study will involve taking part in various health and fitness tests and providing a small blood sample. Anyone over the age of 18 is eligible to take part. If you require special assistance please contact us in advance. We are located in the UCD Institute of Sport and Health. We recommend coming in through the Clonskeagh entrance of UCD as we are located on this side of campus. If you have any questions or need further directions don't hesitate to contact us by email or by calling us on 0871132875. You can read more about our study here! If you are available at short notice call us on 0871132875 and we can put you on a cancellation list.